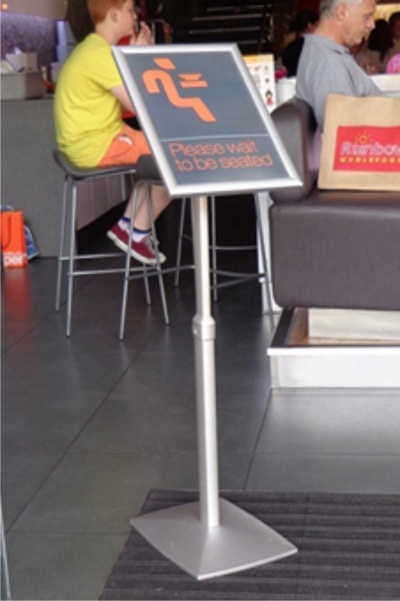 The Portland is a versatile freestanding literature display holder. 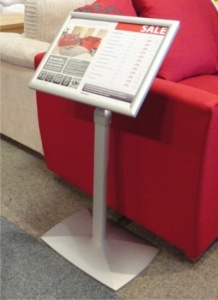 Both the height and the angle of the display can be changed quickly and easily allowing for maximum flexibility. 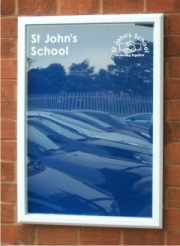 The Snap Frame media holder can also be changed from Landscape to Portrait to suit your requirements. With its rounded corners for added safety. 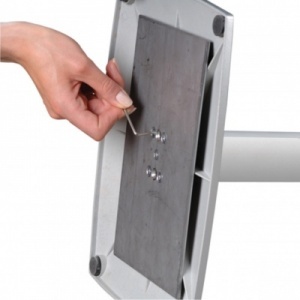 The height and display angle can be can be adjusted by hand therefore no tools are required. 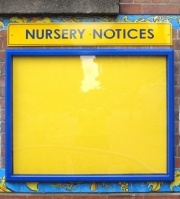 Your Printed Media is protected b a clear anti-glare cover sheet. 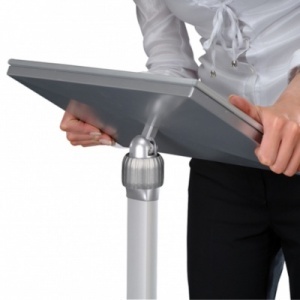 The base features a hidden steel plate to ensure maximum stability.